Warnings are being issued for islanders to look out for aftershocks after a mag 4.1 struck the South Island of Hawaii this morning. It comes after a resurgence of nearly 400 quakes in a 24 hour period in or around the volatile volcano. The Pacific Tsunami Warning Center reports the earthquake that occurred at approximately 5:39 p.m. was NOT large enough to cause a tsunami for the Island of Hawaii. 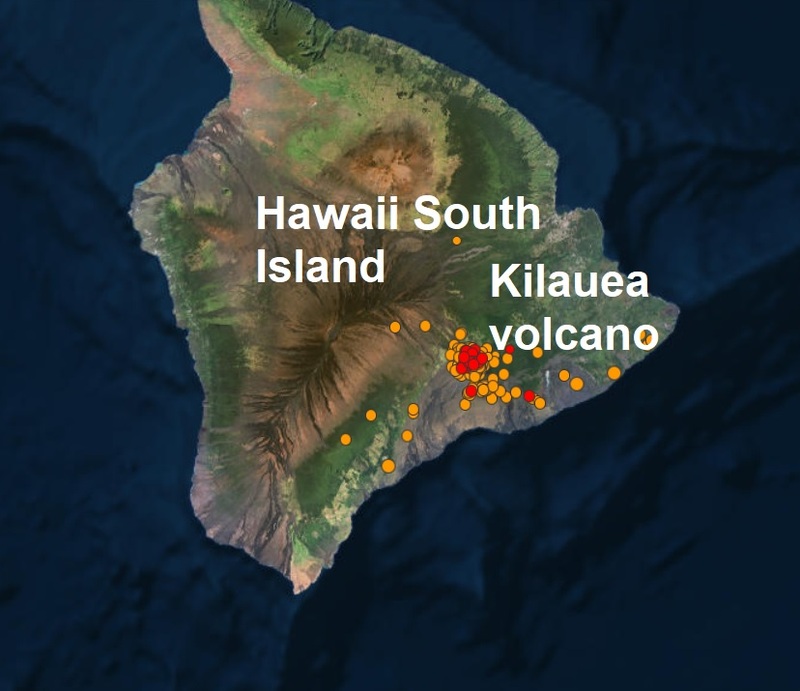 Preliminary data from the U.S. Geological Survey indicates that the earthquake measuring a magnitude of 4.1 was centred nearly five miles south of the Volcano, in the Hilina region of Kilauea. As in all earthquakes, be aware of the possibility of aftershocks. If the earthquake was strongly felt in your area, precautionary checks should be made for any damages; especially to utility connections of gas, water and electricity.